MONTHLY PISTOL/GALLERY RIFLE SHOOT 31 MARCH 2019. To-days cold grey weather didn’t dampen the ardour of the keen club members and the large entry of 22 shooters contrived to make for a very busy and enjoyable mornings activity and competition. The format was the tried and tested NASRPC 25P challenge, 30 rounds plus sighters being required to meet the HPS of 300. A big ‘Thank you’ to Cathal C. who took over as Range Officer and released me to shoot. The tables below list the winners, congrats to one and all on their shooting. The next Club shoot is the Field Sporting Rifle 50 Metre Prone and 50 Metre Precision (50P) Rifle (Standing) Shoot planned for next Sunday 07th April 2019. The next scheduled monthly pistol and gallery rifle event is set for Sunday 28th April 2019, first shots away at 1030hrs, and we’ll be using the Multi-Target (MT) format. This is a fast shooting format and is suitable for all varieties of pistols and there will be a gallery rifle element included in this shoot for semi-automatic and lever action rifles only. 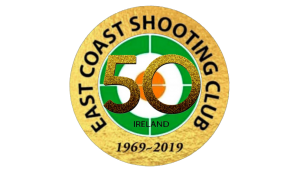 http://eastcoastshootingclub.com/wp-content/uploads/2019/02/ECSC-50th-20190101-300x169.png 0 0 SMCEditor http://eastcoastshootingclub.com/wp-content/uploads/2019/02/ECSC-50th-20190101-300x169.png SMCEditor2019-04-01 16:37:232019-04-01 16:37:23MONTHLY PISTOL/GALLERY RIFLE SHOOT 31 MARCH 2019.